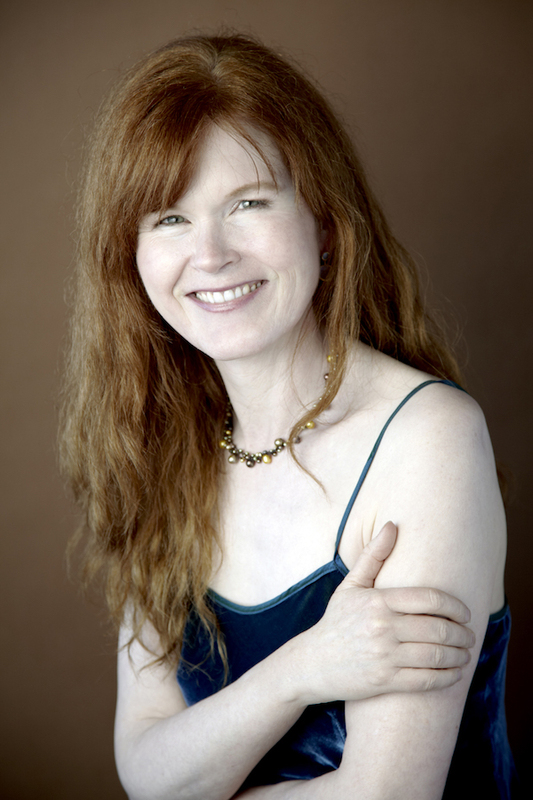 Bay Area icon Sarah Cahill, a pianist who specializes in contemporary music, gave a recital and received a national prize this past Sunday, July 22, at Old First Church in San Francisco. The American Composers Forum Award was a welcome recognition, as Cahill has championed many living composers and even commissioned their works. Alongside that, she is a brilliant musician who has recorded numerous compositions for the piano, writes and produces a weekly radio show on new music, and produces ambitious projects and festivals. He presented a heavy plaque to audience cheers, and then continued. “Since we are based in Minnesota, I have a surprise for you. We are also the home state of General Mills, the maker of Wheaties, and…” With a flourish he pulled out a box of the cereal with her face on it as an American Champion, and handed it to her. Sarah Cahill performed works dedicated to her at Old First Church in SF. Photo by Christine Alcino. Readers of the Piedmont Post may recall my article last month about the Garden of Memory, a solstice celebration at Oakland’s Chapel of the Chimes. Cahill originally founded that midsummer festival in 1996 and continues to perform in it each year, along with over fifty other performers or groups. The busy Cahill also produces “Revolutions per Minute,” a weekly radio show on KALW filled with contemporary music and interviews with composers. Sunday afternoon’s concert was meant to be a celebration of her long years interpreting and presenting new works, her filter on life at the edge. She began with a selection from Steppe Music by Meredith Monk, a work that she had invited from the composer. There were high doubled notes, a sharp refrain between the slow arpeggios, creating a tension between a sharp immediacy and a hypnotic meditation. The harmonies were bright and satisfying, and, played on this amazing Steinway in the vaulted space of Old First, one could hear harmonics far above and below the note being played, a cloud of sound that painted a celestial vault. “In Steppe Music I have tried to write for piano the way I would for the voice,” wrote Monk for the program notes (and each composer wrote their notes). “a kind of aural landscape or topography.” Cahill gave it a lingering simplicity to posit that voice and a clarity to match its long view. In Ingram Marshall’s Authentic Presence, Cahill made bright puddles of notes out of Eastern scales, then undercut them with pounding repetitions, a sense of concrete and busy city streets. And then the quiet arpeggios returned, the life on the edges of structure, building into the trill and blur of fast spinning colors. China Gates was a lighter beauty, silvered and hopeful, written for Sarah Cahill by John Adams when she was just 17 years old and had entered the San Francisco Conservatory of Music. “It oscillates between two modal worlds,” wrote Adams, “only it does so with extreme delicacy.” This early work took a quiet patter of cool notes and slowly cycled them into and out of arrangements that were almost tactile, flowing and rain-like. This was quixotic and difficult, a work that stammered its way through a puzzle and ended abruptly. But it was a deeply satisfying hypothesis. This was luminous music, played with utter concentration. We could see Cahill’s hands, springing after each note as if she pulled the notes up out of the air. There were long middle register notes that tolled and sustained (the middle pedal) while other notes built and faded around it. That prayer-like work was followed by Phil Kline’s powerful The Long Winter, written after the 9/11 World Trade Center tragedy. “Crash” was rage and dissonance, while “Embers” was a quieter grief, spectral notes with a measured tread that never quite resolved into passages. This was deeply moving stuff. This music was bittersweet and lilting, dreamy and virtuosic and I was reminded of the brooding piano score in “La La Land.” But then Cahill stepped into a rag, earthy and joyous, and one could imagine the peace at the end of that pain. It was lovely music, lovingly played, and the audience stood to applaud. Photo top of Sarah Cahill, by Christine Alcino.